I’m on a mission this year to love my body unconditionally - and you should be too, whatever it looks like! I recently read that by the age of 10, a third of all girls and 22% of boys, say how their bodies look is their number one worry. Although I was shocked, I can't say I was surprised. I’ve always known that my relationship with my body was causing me problems, but I’ve only recently begun to understand how much negative body image impacts on our lives. 1. 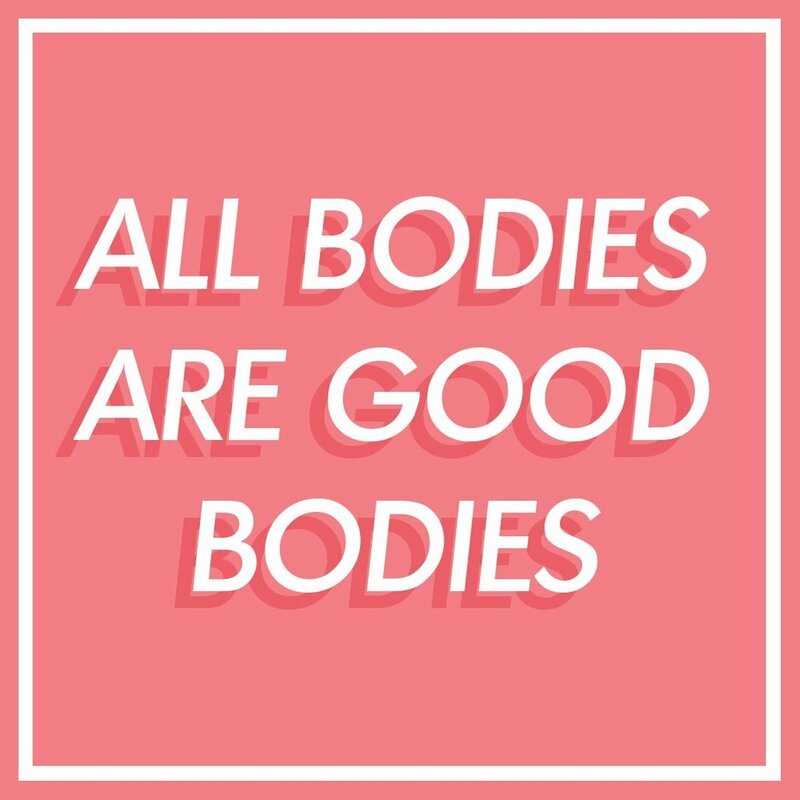 We don’t have to feel like our bodies aren’t good enough. Megan Jayne Crabbe describes herself as a body positive babe, anorexia conqueror, feminist and bestselling author. Paola is a photographer as well as a body positivity and self-love advocate, and posts beautiful photos of herself that smash societal body standards. 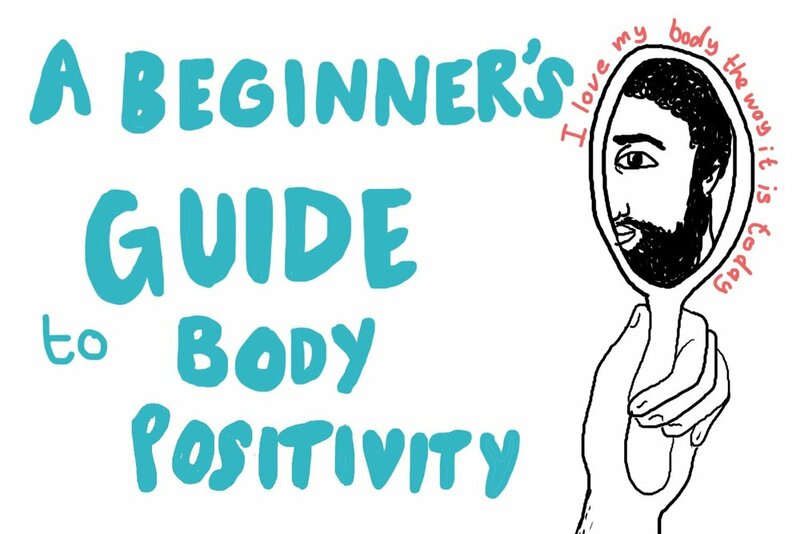 Body Positive Power by Megan Jayne Crabbe, which has the tag line "how to stop dieting, make peace with your body and live". The Beauty Myth by Naomi Wolf, a damning exposé of the beauty industry and a really enlightening read. 3. Every time you have a negative thought about your body, call yourself out. At first it can be sad when you realise how often you’re putting yourself down, and exhausting trying to deflect every negative message you send yourself. After a while, though, you’ll start to get the hang of it and it will become an empowering exercise in loving and respecting yourself. 4. It’s all about the mantras. "I love my body as it is today." "My body deserves love and respect." Try looking in the mirror and saying them to yourself as you get dressed in the morning. 5. Reclaim words like “fat”, “chubby” and “heavy”. We’ve been told that they’re awful and had them thrown at us as insults but it’s time to take them back. Say them to yourself, see how they sound, and if you think one of them is the right descriptor for you, adopt it and wear it with pride. If you’re feeling up to it, take a photo of yourself without posing to make your body look a bit more this or a bit less that. Sharing your empowerment will make other people feel great about themselves, too, and you’ll be joining thousands of people celebrating their bodies online, just the way they are. Even if you can’t share it, just taking the photo and owning it is a powerful exercise. These are tricky steps and none of them are going to change your life overnight but if, like me, you’ve been at war with your body for too long, then they might be the first step to learning to love yourself as you are, not as you could be. If you think that you might need support around your relationship with your body, talk to someone you trust or try calling the b-eat helpline.